The native oak-hickory forest provides a “sacred grove” setting for the modern Greek Revival-style house. The gardens were designed by Patrick Chassé, ASLA, and completed in 1999. Nearest the house the gardens are classically inspired, including a nymphaeum, pergola garden, labyrinth, and theater court, and additional hidden gardens include a perennial ellipse and “annual” garden, a conservatory “jungle” garden, and an Asian-inspired moss garden. 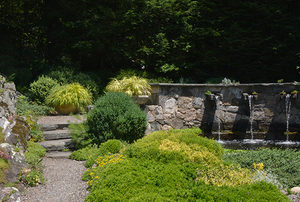 Several water features accent the landscape, and native plantings dominate in areas outside the central gardens. Many sculptures enrich this landscape, and one can visit a Temple of Apollo on an island in the main pond. In spring, over 300,000 daffodils bloom in the woodland, where walking paths weave over a meandering brook and through a shady dell. Several glasshouses can be seen, including a new state-of-the-art greenhouse that supports the gardens. Head gardener Eric Schmidt, who ably orchestrates the rich garden plantings throughout the property, is on hand for questions. Directions: From Route 15/Merritt Parkway, take Exit 38 and follow Route 123 North through New Canaan into New York state. Town of Lewisboro and village of Vista are first signs encountered. Go past Vista Fire Department about 0.25 mile. Just after shingled Episcopal church on right, Route 123 bears left and Elmwood Road bears right. Go about another 0.25 mile just over a hill. At beginning of gray stockade fence on right is driveway at #199. 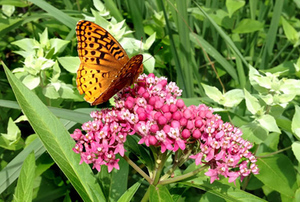 Digging Deeper – The Magic of Making More Plants: A Workshop for Kids at The White Garden in Lewisboro. 10 a.m. & 2 p.m. 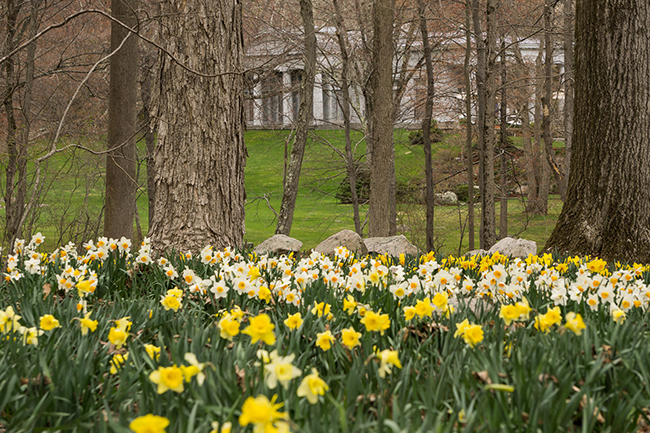 Celebrate spring at the fabulously imaginative White Garden with Eric Schmidt, estate manager, as he leads a hands-on workshop for gardeners of all ages. In the large greenhouse, kids will get their hands in the soil, investigating and planting different seeds and discussing what they need to germinate. The group will also explore how some plants grow from cuttings (pieces of existing plants). Each child will take home a free seedling to observe and enjoy. This program is appropriate for children ages seven and up. Adults must stay with the children in their care at all times. Garden admission is $7 per person and children 12 & under are free. There is no additional fee for this program. 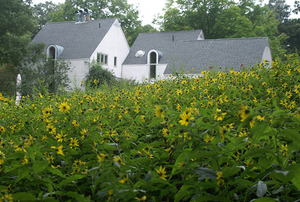 Call 1(888) 842-2442 or email opendays@gardenconservancy.org with questions.